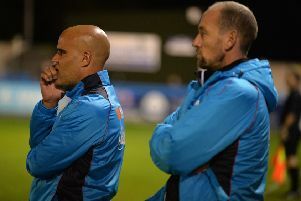 JOINT GUISELEY manager Marcus Bignot is calling on the wounded Lions to right a few wrongs at Alfreton Town tomorrow afternoon. The Nethermoor outfit, who currently reside in 14th spot in National League North, may boast a six-match unbeaten streak ahead of the trip down the M1, but much frustration abounded following last weekend’s 1-1 draw with Chester. Guiseley, who have scored several defining late goals already this season, were handed a taste of their own medicine with a 90th-minute leveller from the visitors cancelling out Scott Garner’s 87th-minute opener and ensuring that the Lions were denied a win bonus. 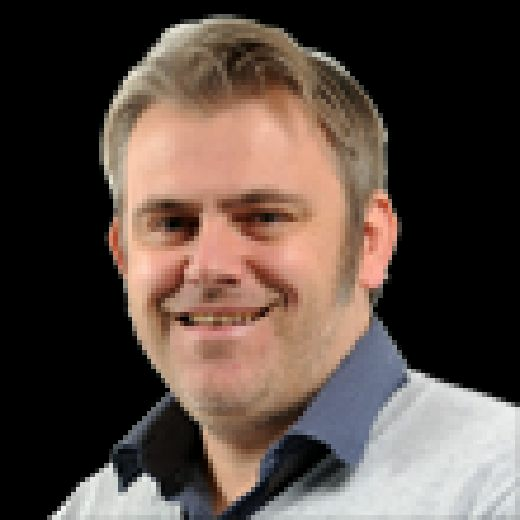 While both Bignot and fellow boss Russ O’Neill have seen plenty of positive signs from a Guiseley side who last saw their colours lowered in a 2-0 reverse to Chorley on August 7, the next building block revolves around their side cultivating a winning mentality and getting rid of the ‘draw specialists’ tag. Bignot told the YEP: “In terms of getting ahead in games and taking the lead and turning those draws into three points, Saturday represented a perfect opportunity. “We got ahead and should have kept the lead, but the manner in which we conceded was disappointing. “It felt more like a loss, even though the record continues with us being unbeaten. “We have spoken regularly about the mentality of this group and how it is physically getting stronger. “But we are going to keep pushing and driving them as we believe this group are good enough to turn these draws into wins. “That is the challenge, going into this next block of games, starting at Alfreton. “We will be looking to go ahead and keep believing and come away with three points. Tomorrow’s game sees co-manager Russ O’Neill make his first return to Alfreton following a long and successful association with the East Midlands club, who are currently well placed in fourth position in the table. O’Neill ended a decade-long association with the North Street outfit in May 2017 following the arrival of new investment – and admitted at the time that it was “gut-wrenching” to leave. The game also sees assistant manager Paul Clayton return to his old stomping ground in Derbyshire. But Bignot insists that Saturday will be purely about business come kick-off, much as it has been for him this season in meetings with a couple of former clubs in Chester and AFC Telford. “It was similar to me on Saturday,” Bignot said. Meanwhile, Bignot admits that he is “devastated” for midfielder Louie Swain, with the former Bradford City and Harrogate Town player likely to be out for a significant spell with a serious knee injury. Several other players remain sidelined in a congested treatment room, which does not look like clearing in the near future. Bignot said: “Unfortunately, Louie looks like he has done his ACL and he will be out for the considerable future. “We are really disappointed because we know how hard he worked to get back. It is a blow. “We brought him in because we knew he was going to be an asset to us. KNARESBOROUGH TOWN are the area’s only side blessed with a home tie this weekend as non-league adventures continue in the FA Cup first preliminary round, writes LEE SOBOT. Knaresborough only made the switch from the West Yorkshire League to the NCE League back in 2011 with the Manse Lane outfit already having climbed a division and now sitting ninth in the Premier Division. An even higher-league opponent will present themselves tomorrow afternoon with Knaresborough hosting Kendal Town who sit 11th in the West section of the Evo-Stik League’s Division One. Farsley Celtic will be on their travels with the Celts facing a trip to the north east to take on Guisborough Town. The hosts sit 11th in the Ebac Northern League Division One with Farsley 15th in the Evo-Stik League Premier. Tadcaster Albion will also be on the road to higher division opponents against Evo-Stik League Premier Division side Bamber Bridge. The hosts sit ninth in the Premier Division with Taddy third-bottom in Division One East. North Ferriby United are away at Dunston UTS who are fourth in Division One of the Ebac Northern League. Ferriby are second bottom in the Evo-Stik League Premier Division. Whitby Town are away at Bottesford Town – 15th in the NCE Premier – while Scarborough Athletic face a trip to divisional rivals Marine. Scarborough are fourth in the Evo-Stik League Premier with Marine fourth bottom. Frickley Athletic are away at NCE League side Maltby Main who are flying high in second in the NCE Premier. Frickley are fifth in Division One East of the Evo-Stik League. There is £6,000 on offer to winning teams in the first qualifying round who will then be three more victories away from the first round proper. The second qualifying round takes place in two weekends’ time with the draw being made on Monday morning. NCE LEAGUE leaders Hemsworth Miners Welfare will seek their fifth win from six games tomorrow with the visit of Barton Town, writes LEE SOBOT. Hemsworth hold a two-point lead at the top of the division whereas Barton sit eighth but only six points behind Miners and with a game in hand. Hemsworth are two points clear of second-placed Maltby Main and third-placed Yorkshire Amateur – and Ammers have a home clash against 14th-placed Thackley. Maltby, who have a game in hand on both Hemsworth and Ammers, are on FA Cup duty. Fifth-placed Liversedge are away at second-bottom Hall Road Rangers who have amassed just three points from their first six games. Third-bottom Harrogate Railway welcome 11th-placed Penistone Church looking to bounce back from last weekend’s 4-3 eventful loss at home to Silsden while 13th-placed Eccleshill United go to fourth-bottom Goole AFC. In Division One, second-placed Nostell Miners Welfare could go top with victory at home to 13th-placed Ollerton Town. Leaders Winterton Rangers are away at 15th-placed Rossington Main. Sixth-placed Selby Town welcome 11th-placed Hallam while ninth-positioned Glasshoughton Welfare entertain tenth-placed AFC Emley. In the Evo-Stik League East Division, seventh-placed Brighouse Town welcome 15th-placed Loughborough Dynamo. Brighouse arrive on the back of last weekend’s 2-1 success at Carlton Town in which Gabriel Johnson struck an 81st-minute winner. Bottom side Pickering Town travel to fourth-placed Lincoln United. Pickering are still seeking their first point of the season after four straight-losses. Tenth-placed Pontefract Colleries are at home to 11th-placed Stocksbridge Park Steels.